For a complete of skils required for your level click on the skills checklist below. Ensure that these are incorporated into your practices. The following practice plans and drills are resources for you to utilize throughout the season. Click on the number and the plans will open for you to view and print. Please contact me for support. Deciding what the practice focus should be depends on where you are in the season and your season plan. September-October focus on "quicker harder faster". 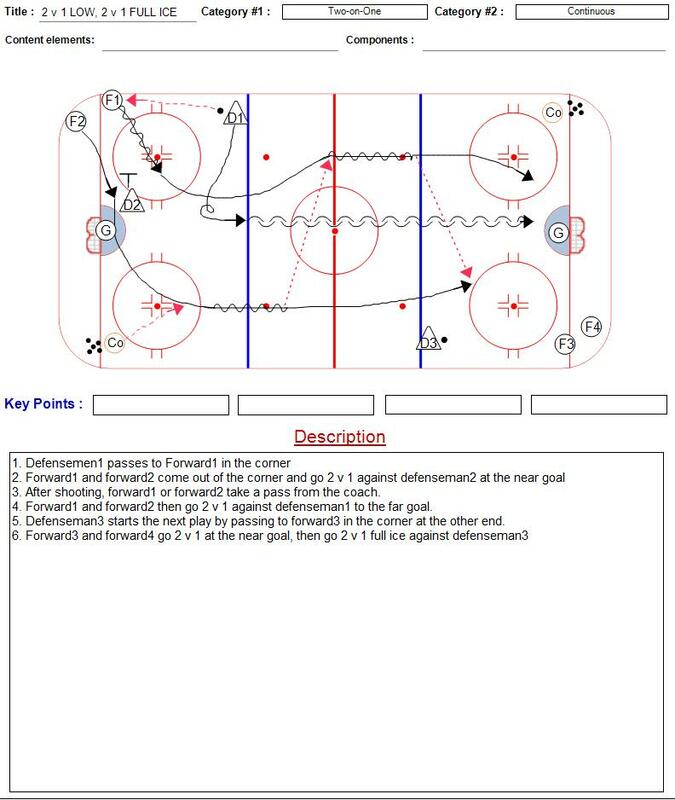 Skating shooting and passing. Techniques should be taught with focus on error correction as the players are executing drills and skills. Allow for trial and error. November-January focus on more multi dynamic drills and tactics. System play should be step by step starting with 1 players role than adding in more as the season progresses. February-March review all plans, progressions and areas that still need focus. Keep players engaged by adding new drills, stations, competitions that make them compete against a clock, other player, coach, etc. Coach enhancement is Mandatory. I will be having coaches education nights both on and off the ice. 1 coach from your staff must attend unless there is a direct game or practice conflict where the coaches of that team can follow up with me. If you require practice plan assistance, player development ideas, or any other needs contact me as soon as possible and we can work together to advance that area.